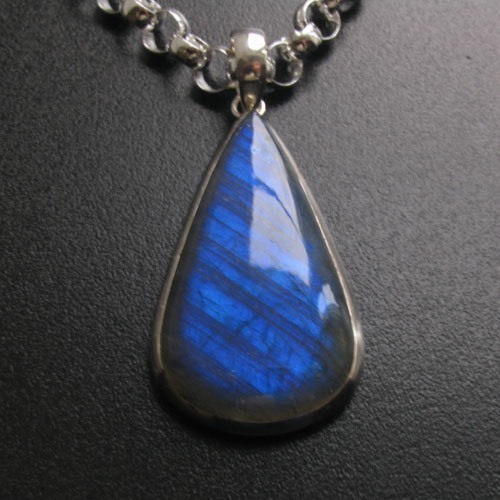 Large labradorite pear drop pendant. 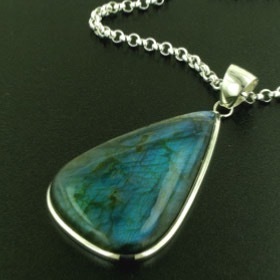 This large labradorite pendant features a fabulous labradorite gemstone bursting with labradorescence. 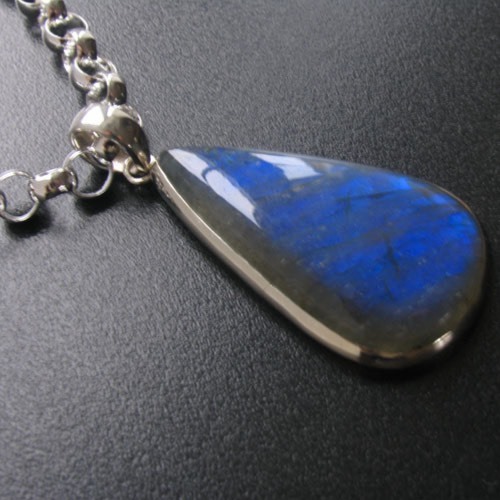 It glows with electric blue colour as the light travels across the surface. 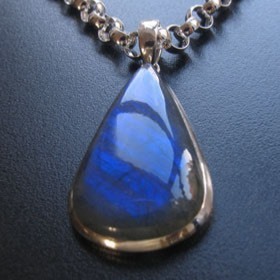 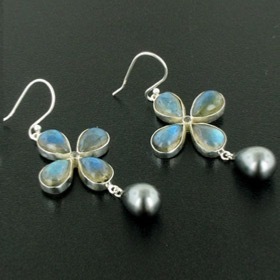 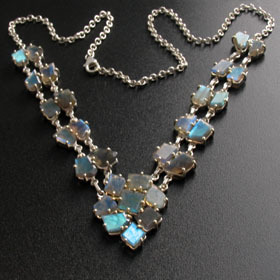 Labradorite is an iridescent gemstone and the characteristic electric blue colour is sought after. 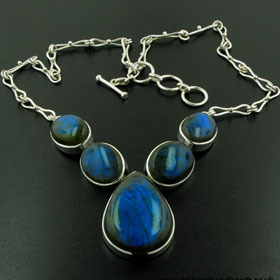 Diagonally across the stone you can see dark stripey inclusions which add a dramatic touch. 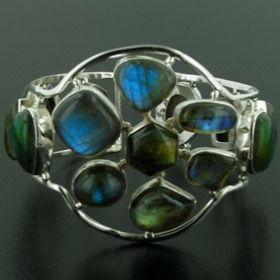 For information about labradorite see About Gemstones. 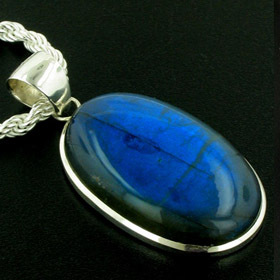 The stone is set into a plain sterling silver frame and finished with a smooth classic bale. 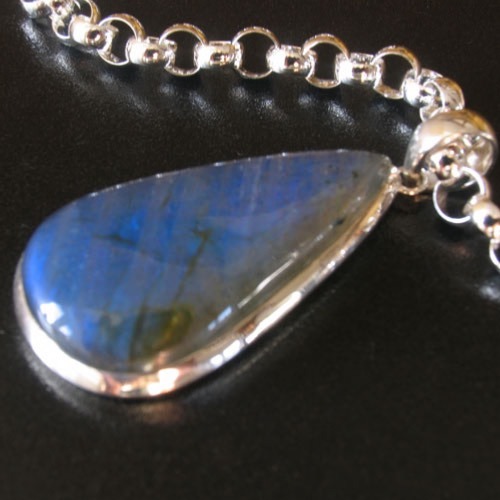 All our labradorite pendants are set in sterling silver. 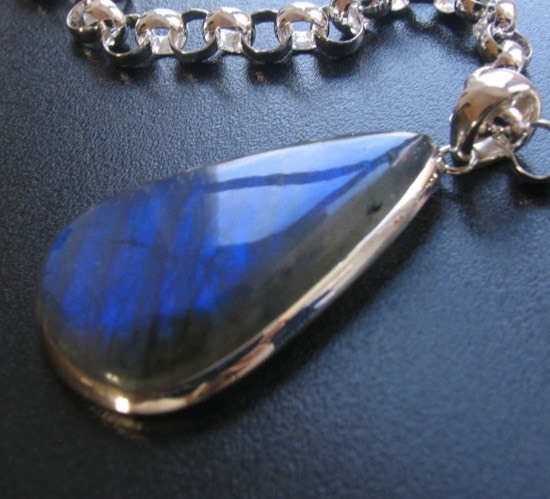 The chain shown with this labradorite pendant is our silver belcher chain in the 6.5mm width. 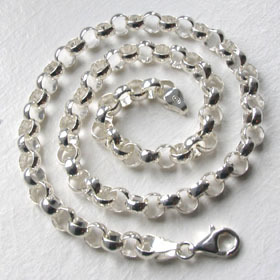 This is available in lengths 16" to 30". 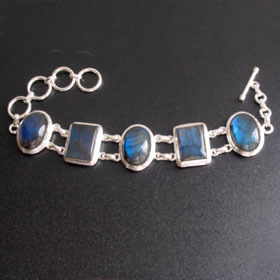 Other widths are available. For a wide selection of silver chains, including choices in diamond cut chains, see our entire collection of Italian silver chains.